Home Blog Have a Happy Colby Olsen Thanksgiving! Have a Happy Colby Olsen Thanksgiving! The holiday season is the perfect time to gather your family together to share in a bountiful meal. This was also one of Colby Olsen’s favorite times of year, we everyone came together to celebrate the love that surrounds this holiday. Unfortunately, too many local Tusconans won’t have a warm place to go this Thanksgiving where they can celebrate and just be themselves. In steps the Colby Olsen Foundation with a the perfect antidote. Have a Happy Colby Olsen Thanksgiving Dinner! Last year, our friends at the Colby Olsen Foundation hosted their 1st Thanksgiving Dinner! It was a huge success! With the help of many volunteers and local businesses, they were able to successfully feed over 200 people! This year, they hope to expand their mission and provide a safe and comfortable space to even more displaced individuals in our community. Thanks to their sponsors & volunteers, they should be able to expand their offerings and anticipate an attendance of 300+ individuals! 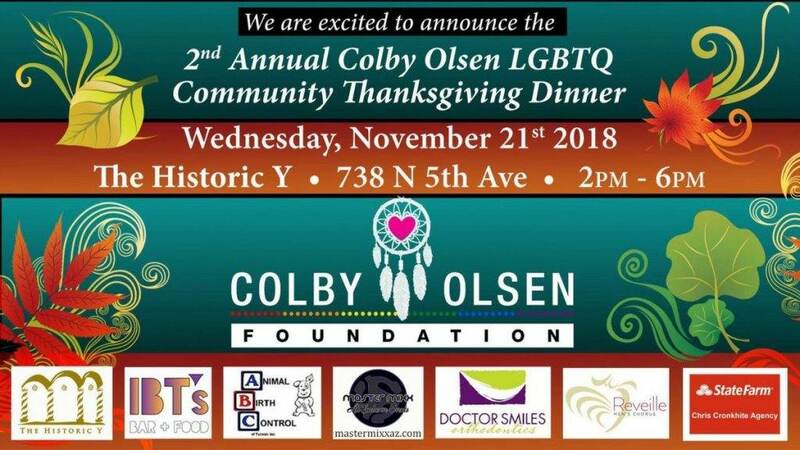 How Do I or Someone I Know Attend the Colby Olsen Thanksgiving? Great question with an even better answer. Getting to the Colby Olsen Thanksgiving Dinner couldn’t be easier, just hop on your choice of public transportation on Wednesday, November 21st before 2pm and head Downtown to the Historic Y. The dinner kicks off at 2pm with dinner served shortly thereafter. Stick around until close to catch an incredible performance from Reveille Men’s Chorus! 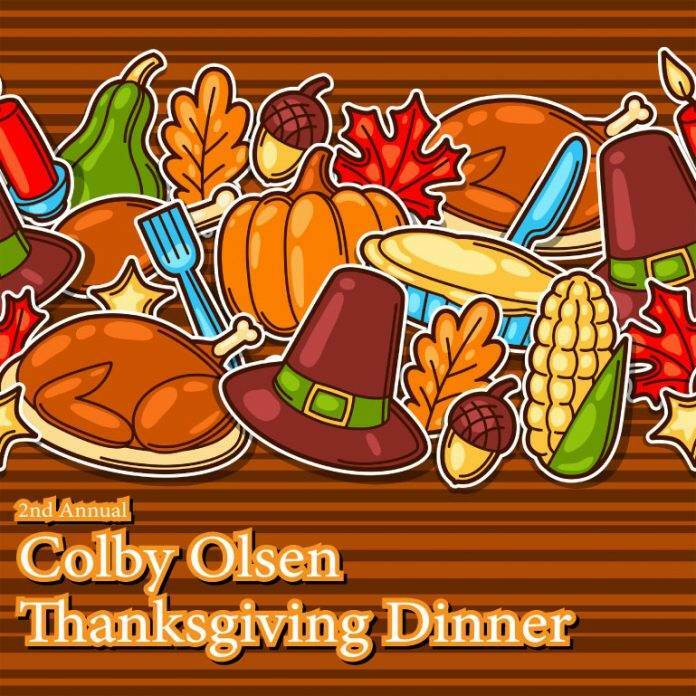 Learn Everything Else There is to Know about the 2nd Annual Colby Olsen Thanksgiving Dinner!